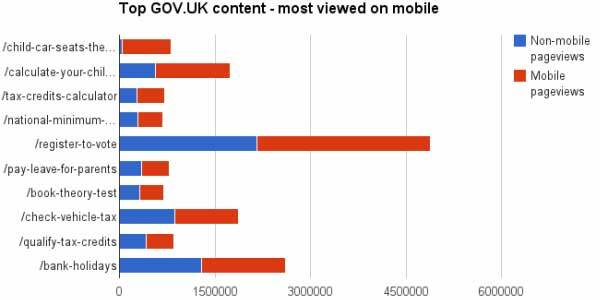 Mobile platforms account for the lion’s share of most of their content (see their graphic above), so being mobile-first and at least mobile-optimized is mandatory. More intense, complex tasks are still frequently started on desktops, but young and less affluent users expect to be able to do them on their smartphone. This follows a similar trend we reported on earlier in the year: people are growing more comfortable and expect to be able to complete complex tasks on their mobile devices. They must prepare for ‘adaptive content’ that’s more structured and can be reformatted for multiple platforms. This allows digital publishers to Create Once, Publish Everywhere (COPE), a strategy coined by NPR’s digital team. On the other side of the Atlantic Ocean, the Open and Structured Content Models Working Group and DigitalGov are putting forward model standards for two of the most popular types of content on government websites—articles and events—to better manage, share and publish digital content across government digital properties. These proposed content models help define all sorts of meta data and information around content that’s created on government sites—from related multimedia to source organization to short and long descriptions of the content. This allows content to be more adaptable and portable across platforms, from glanceable moments on a smartwatch to mobile moments on smartphones to the traditional desktop experience. Preparing government information in this structured data format and then creating content that is mobile-optimized will help your agency exponentially grow and serve your audience across all platforms, websites, formats and tools—now, and into the future.